Through the window of a bush aircraft, Arthur glances down at the endless patchwork of tall acacia trees, grasslands, and ephemeral rivers for his quarry. Then all at once, he sees them; a herd of giraffes bursts out from a dense thicket of trees—as if disturbed by the sound of the aircraft’s engine—and takes off, their long necks swaying as they glide across the landscape. Mesmerized, Arthur trains his binoculars closer, marveling at their striking ocher, flagstone-patterned fur and their graceful gait. 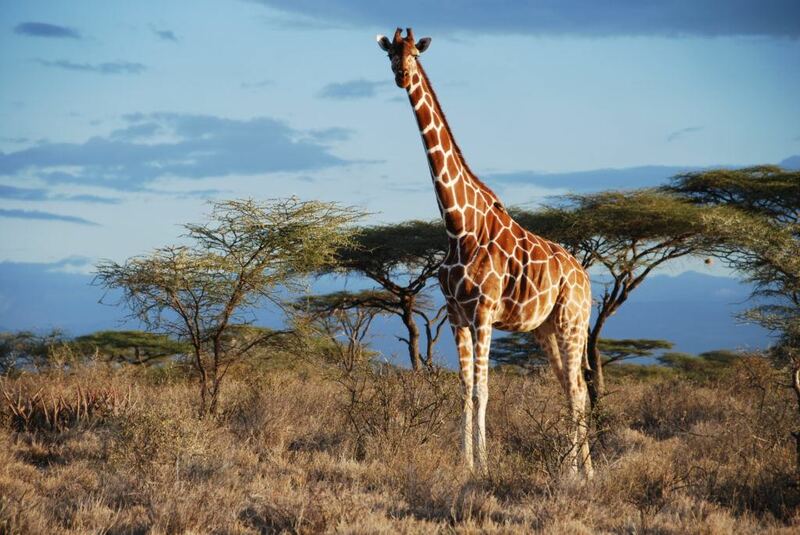 Despite being the tallest animal on earth and popular among the masses, giraffes are one of the least studied mammals, but Arthur—along with the rest of the team at the Giraffe Conservation Foundation (GCF)—is working to change that. Although, originally from Rwanda, Arthur grew up in Kenya, surrounded by the country’s rich and diverse wildlife and wild landscapes. Even as a young boy, he was deeply moved by the beauty around him and was determined to protect it. Years later and true to his childhood dream, Arthur became a wildlife conservationist, focusing his attentions on the beautiful but unassuming giraffe. Even though most people would immediately recognize a giraffe from photographs, very few actually know anything about them. In fact, these gentle, long-necked mammals have moved so far under people’s radars that it wasn’t until recently that their current predicament came to light—giraffes are silently but surely heading toward extinction! Their numbers have plummeted across Africa by an alarming 30% in the past three decades, prompting a shift in their status from “Least Concern” to “Vulnerable” on the IUCN Red List. As a master’s student at the time, Arthur’s research around giraffes proved vital, shedding light on a disease that has long affected several giraffe populations in Africa (but for which there was limited conservation attention). His findings were also responsible for generating the first-ever database for giraffe skin disorder(s). Today, Arthur is a wildlife ecologist and the East Africa coordinator at the GCF, working to secure the future of three giraffe species that live in the region: Masai, Nubian, and reticulated giraffe. Arthur is also a 2018 WCN Scholarship recipient, one among 14 scholars from around the world who have been awarded funding to pursue their graduate studies in wildlife conservation. 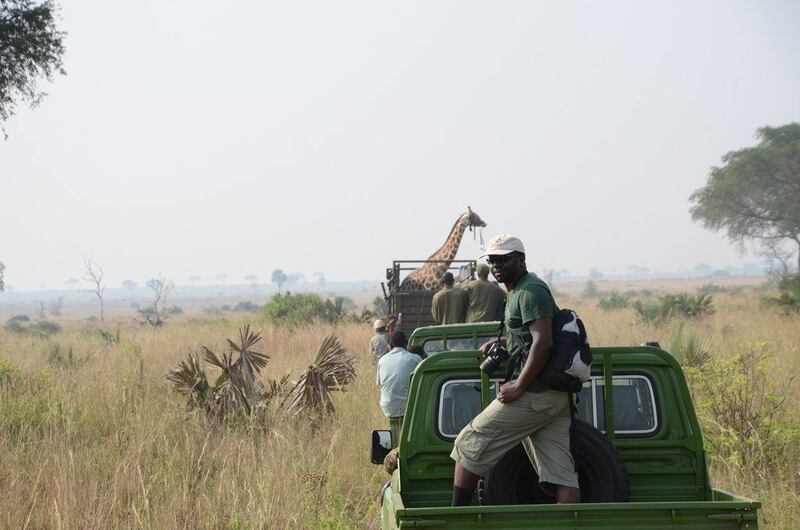 With the funding from the scholarship, Arthur is pursuing a PhD at the Research on the Ecology of Carnivores and their Prey (RECaP) laboratory at Michigan State University (MSU), investigating the different factors that affect the survival and reproduction of giraffe populations across East Africa, with a focus on the transboundary area of southern Kenya and northern Tanzania. Arthur is also a member of the IUCN SSC Giraffe & Okapi Specialist Group. Through his role at GCF and his PhD research at MSU, Arthur aims to ensure that all giraffe species in East Africa have a secure future.